PlayClaw has support for Teamspeak 3 overlays. There are two types of these overlays (since build #5000): voice chat and text chat. There is one additional element which connects Teamspeak 3 client and PlayClaw overlay - a client plugin. You will need to copy the plugin file to an appropriate folder and activate it in Teamspeak 3 client. Plugins can be found in PlayClaw installation folder and tools/ts3 subfolder. Here you will find one plugin for the 32-bits TS3 client and one plugin for the 64-bits TS3 client. If you use 32-bits version of Teamspeak 3, then you need to copy ts3-playclaw6-plugin_win32.dll to the config\plugins subfolder inside of Teamspeak 3 folder. For 64-bits version of Teamspeak 3 you need to open AppData folder. 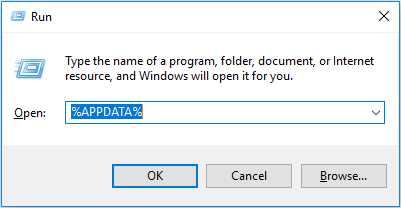 Press Win-R shortcut, type %APPDATA% and press Enter. Then open TS3Client\plugins subfolder and copy ts3-playclaw6-plugin_win64.dll plugin here. Now you need to run your Teamspeak 3 client and make sure that the plugin is in active state. Click to Tools/Options menu. Select Addons tab on the left side. Find the PlayClaw plugin in the list and check if the button is in Enabled state. Now everything is ok, just add Teamspeak 3 overlays in the overlays editor and see how they work with Teamspeak.